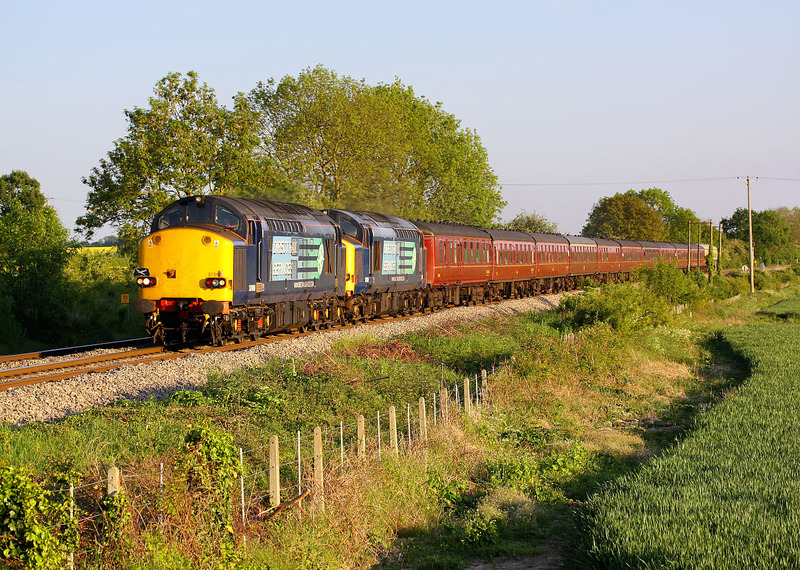 Golden late evening lighting at Tackley on 23 May 2009 as 37069 & 37602 head northwards with the Spitfire Railtours 1Z45 16:36 Weymouth to Crewe 'Wessexman' railtour. Although running exactly to time at Didcot the train was five minutes early at Tackley which implies some very fast running through Oxford. In the still air the pair of tractors could easily be heard approaching from several miles away.